Faber-Castell was kind enough to send me an array of craft kits to review recently, and last night I spent HOURS going through all of them! And I’ll give one away to one of you. Just leave a comment at the end of this post sharing your favorite and i’ll choose one name next week to receive a kit! I didn’t even know where to start with these craft kits so I went with the Hide and Seek Rock Painting Kit! I thought the rocks would be fun to paint and give away to friends! The kit is super cool because not only does it comes with the paints, rocks, and brushes, but also little stickers to attach to the rocks. That way you can leave them and when people find them they can upload a picture to social media. You can apply decals that come in the kit or freestyle, which is what I did! Some of my finished rocks! 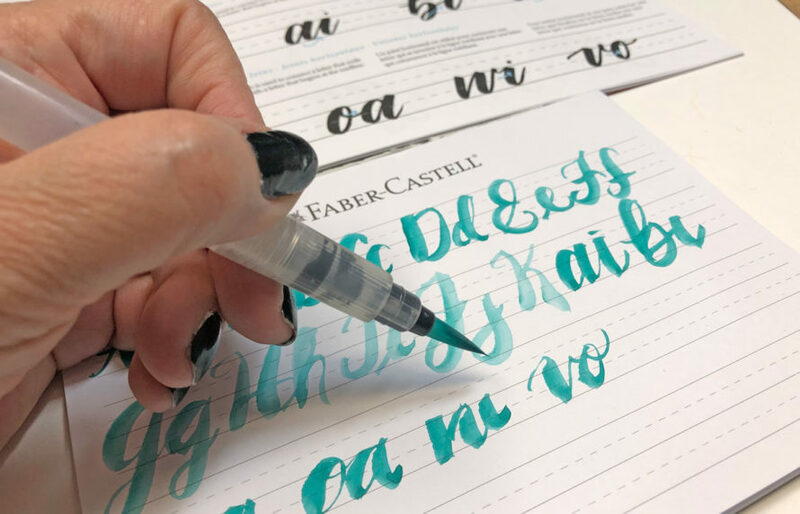 I’m super excited to try these – jumbo brush pens that work on stamps as well as lettering. Next, I moved on to the Watercolor Lettering Kit. This is what I really need to practice! It comes with three brush pens, watercolor tubes, practice paper, and a guidebook. I love using watercolors for lettering, I’m determined to get this perfected! I sketched out my design on watercolor paper and then went over it with the watercolors and brush. I chose this phrase to represent how important it is to connect with others. If you’re in a good mood, pay it forward in little ways – a smile, a greeting, simple acknowledgments go a long way! I ended up painting the mat frame as well! I used the watercolors on the lettering, and then the mat frame, I then went over the colored areas with accents using one of the pens included in the kit. I can never leave anything simple, I always have to embellish! 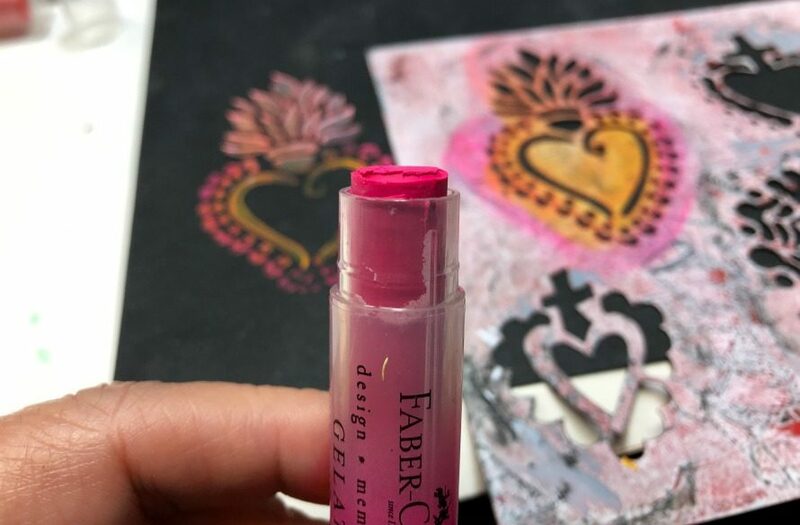 Two of the kits featured Gelatos – these are gourmet crayons used for mixed media. I found them to be kinda intimidating, but I know I’ll get used to them the more I use them. They are one of those tools that has so many uses and techniques, it’s hard to know where to start. I tried a few things – first I used one to tint the edge of a card, which looked cool. 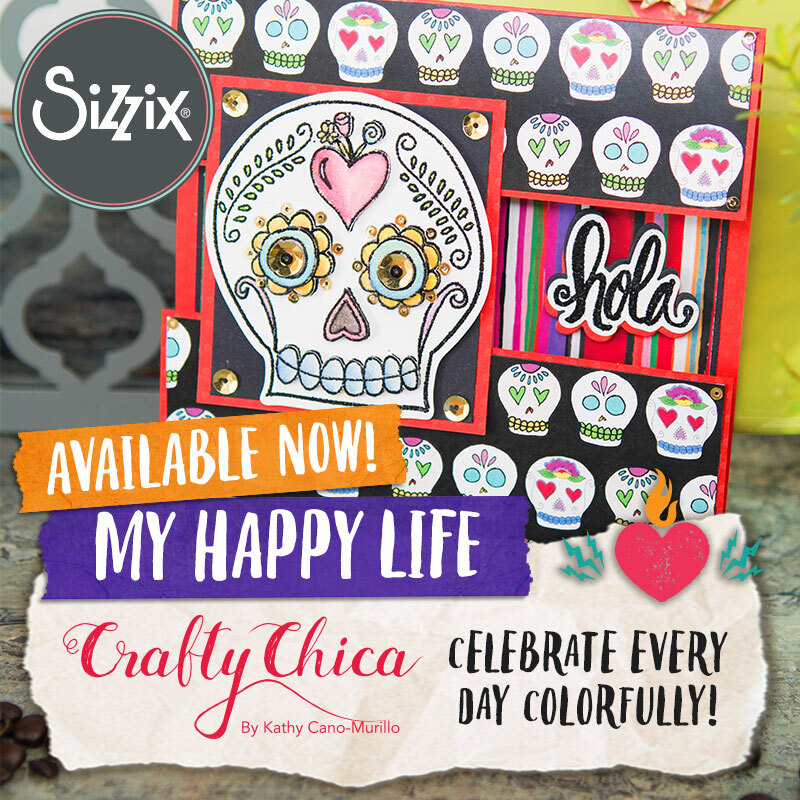 Then I tried them on black cardstock through my Crafty Chica stencils – and wow, it came out really nice! You can also rub a bit on scratch paper and then apply a water brush and use them as watercolors. I’m thinking you could also slice off a bit and mix it into gel medium or gesso for tinting. I’ll def be experimenting with these in my journal! And that’s a wrap, that’s a lot of crafting, right? Leave a comment below if you want to be entered to win the Marbling Kit – it’s super cool too! 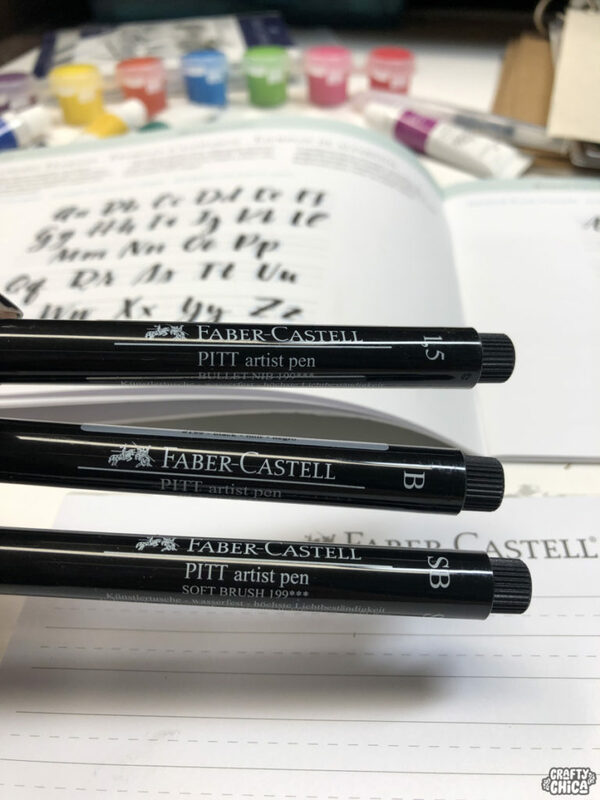 Thank you to Faber-Castell for allowing me to test these out these craft kits, they now have a happy home in my studio! Love the water coloring letter kit. My mouth is watering as I think about using them for Valentine’s Day cards. I like the frame…. very pretty. Omg! I love the water coloring kit. So want to learn lettering. These are great. Wow! All the kits look pretty cool. The brush pens are ideal when I am doing crafts with my six grand children!! The watercolor lettering kit or the rock painting set look really fun! I could use either one with my art students/art club activities!! Hola Kathy! My choice is Rock Painting! My cousin and I have ventured and did several rock batches. Thx so much!!!! Rebecca G.
OOh, I’d love to try them! I’m interested in the brush pens. I love watercolors and beautiful lettering. The only thing is, I’ll have to work on my lettering, lol. I wanted to practice calligraphy this year, so we’ll see. Would love to have the marbling kit! Love them all! How wonderdul!!! Hi Vanessa! Your entry was randomly chosen as the winner!!! Yay! I emailed you my addresss Xoxoxox thank you Kathy and Faber-Castell !!! Being crafty is so fun! My daughter and I just started painting our own kindness rocks. It’s been great bonding time, too. Like many of the replies, love the water colour pens! Very cool. Cannot wait to see what you do with the Jumbo Brush Pens. I’ve been wanting to try these out for so long! What amazing products!!! Would love to play with the lettering:) Thank you for your generosity. Those Gelatos sure look luscious! I would love to try them. 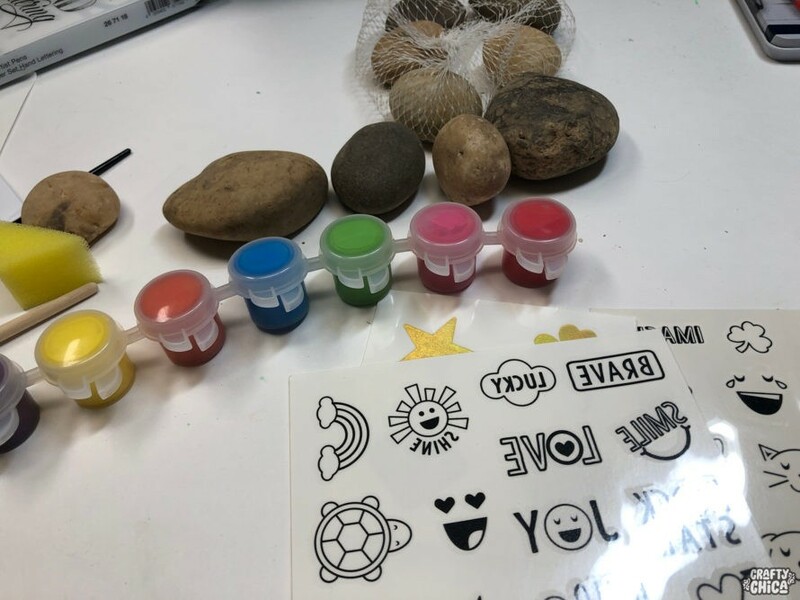 Rock painting kit! I save rocks from special places I have been. 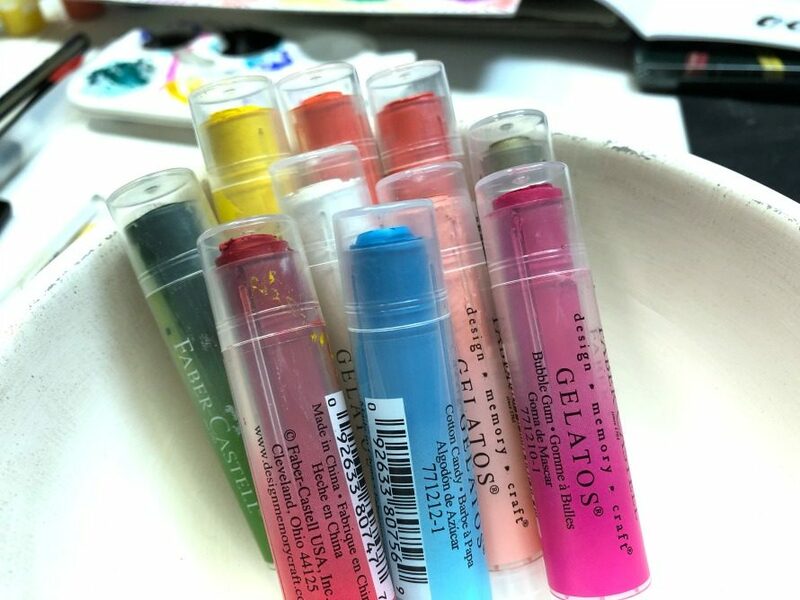 I love my Gelatos and very excited about those brush markers!! I love all of these fun ideas you shared! Love how bright and colorful your rocks came out! Rock Painting! Would love to do a project with my 7 year old. We are Artsy Fartsy! 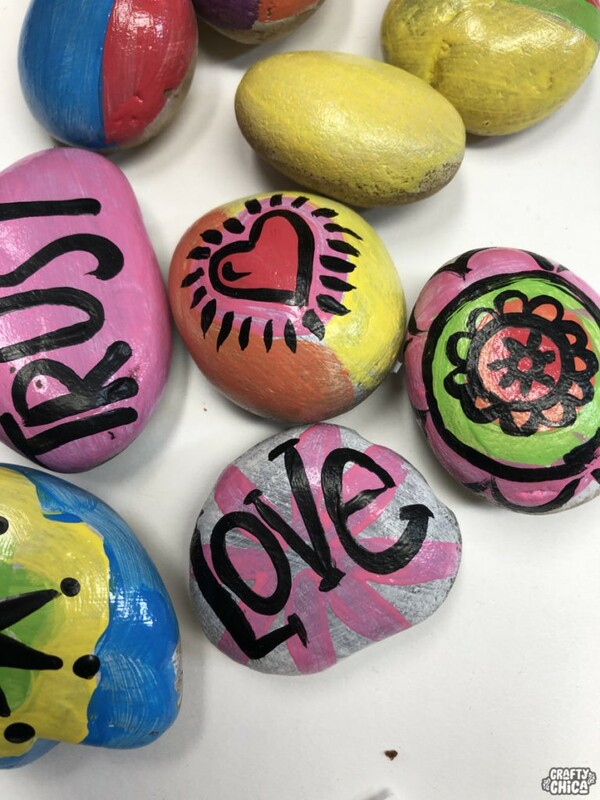 Your rocks turned out beautiful! Your work is beautiful as always. I really like how your style shows through no matter what medium you are working in! Love your art Kathy. Enjoy seeing what you do with different crafting materials. Ahhhh. I love them all! But if I was to pick just one I would say Rock painting!!! You always have the best ideas to beat the winter blues. 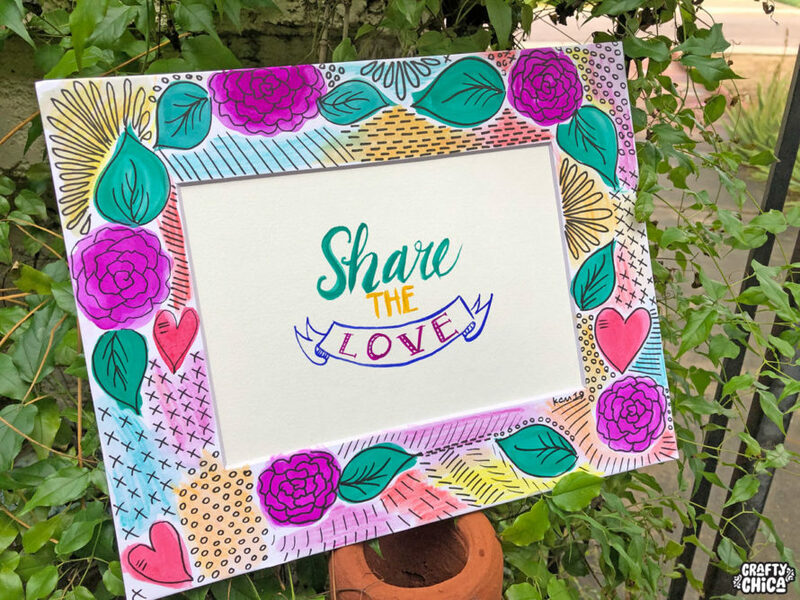 I love to inspire with word art so I would love to try the watercolor lettering. I love the rock painting!! I would love to try the gelatos! It’s always good to try something new! The gelatos look so cool- love your usage ideas. Thanks for the giveaway! I would love the Rock Painting Kit. My son is an Elementary School Counselor. The only one in his school of 400 kids. I make all sorts of reward systems for his kids, one of them being painted rocks. The kids love them. They are given an appropriate rock/s for whatever is going on. They return them before leaving and they get passed on to other kids in other sessions. Sometimes, with permission they are given one to keep. It’s a great reward system. I would love to have better materials, more fun materials for the rocks. Thanks so much for this opportunity. I hope my comment goes through now with a URL. I would love to try them all but I think the watercoloring lettering is my favorite. The rocks are my favorite! 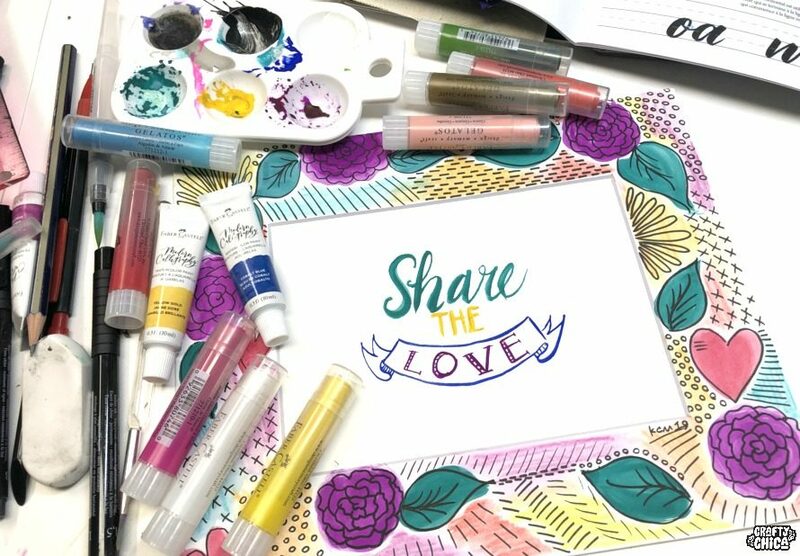 Love the Watercolor brushes and dual purpose markers! Been itching to do some marbling!! 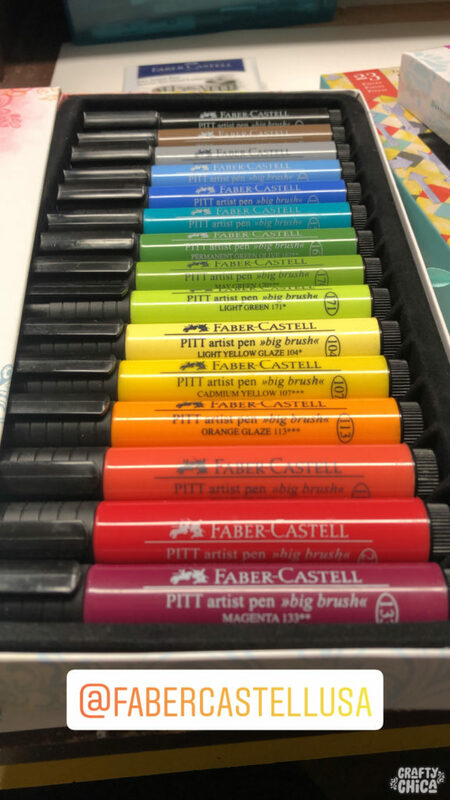 Been practicing my writing skills for the past year and the Pitt artist pens look fun and colorful! I love the water color or rock painting kit but honestly would be happy to win any of the three! 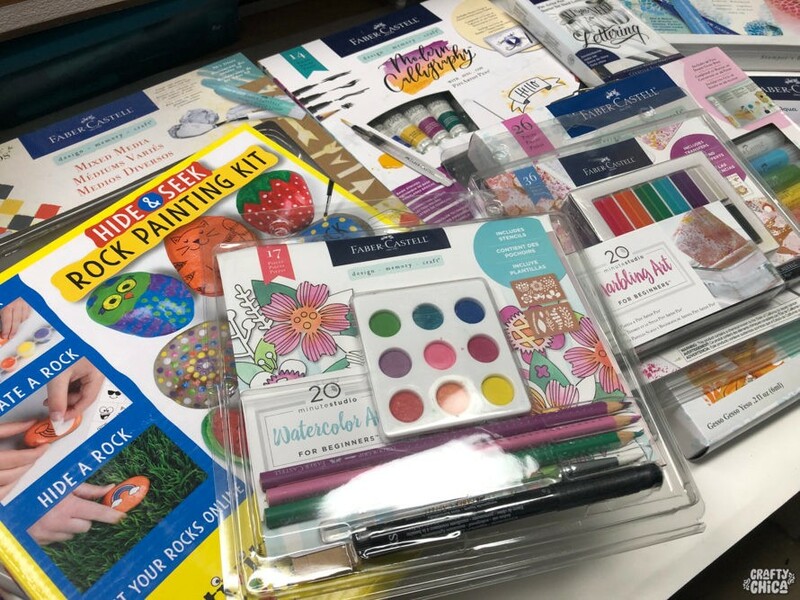 Wonderful and fun art supplies! Thanks for the opportunity to win some! All the kits look fun! Watercoloring Lettering would be a great win. Since I’m having my students practice their handwriting everyday. This kit would be a nice “Fun Friday” Activity. Good change from the “Same ol, Same ol” colored Expo marker / Black & White Dotted Lines worksheets. I’m an art teacher, so I’m always looking for new products to let my students explore. These look fantastic. Gelatos! I have wanted to try these for quite some time. I love the water color lettering. They’re neat, and I’d get the most use out of those. Thank you! I like the frame! very pretty. I love the rock painting! Fun for me and the kids. 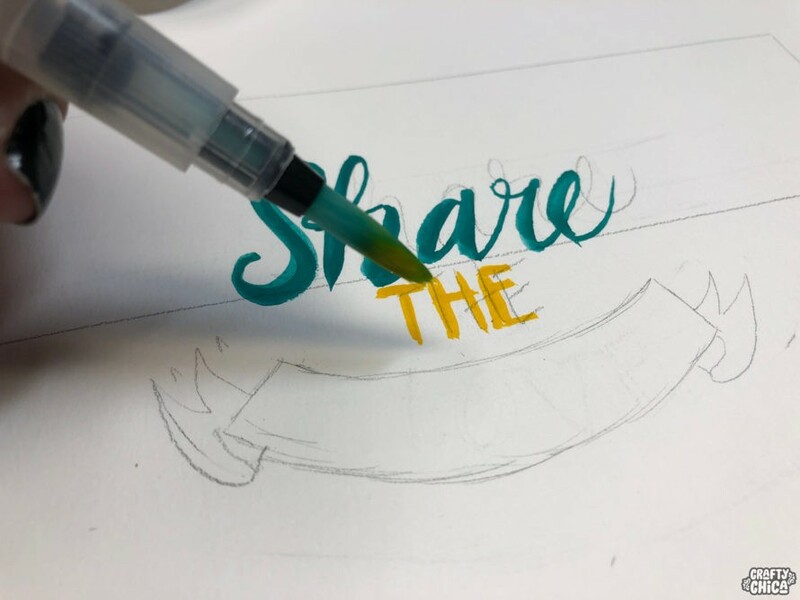 The Watercolor Lettering Kit looks so fun! Super cool! 🙂 My boys would love the rock painting set! Love the water colors! Have a blessed 2019! 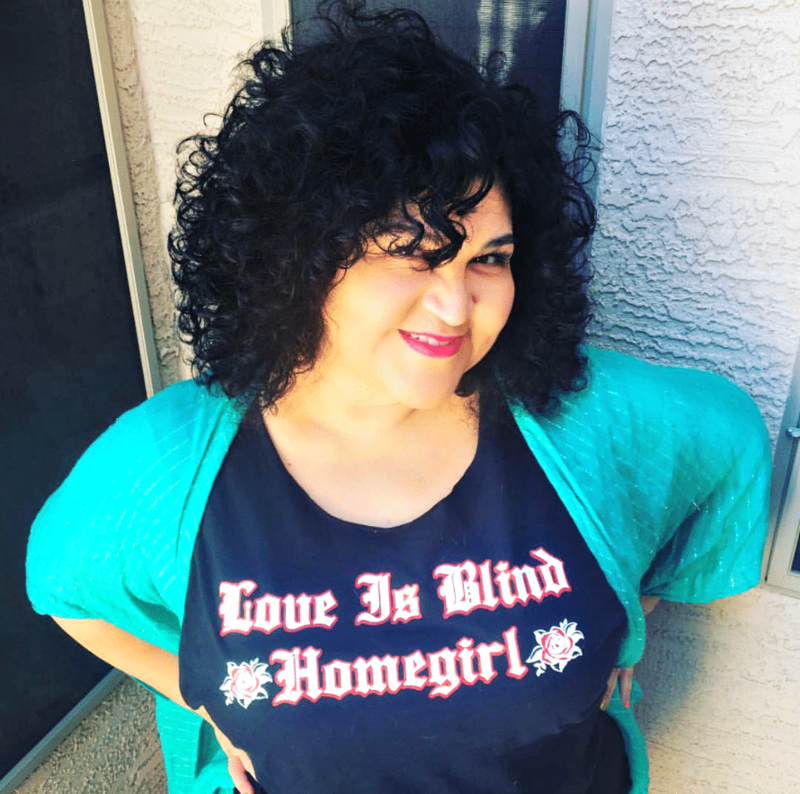 Love all the color and fun on your blog! Like the rock painting kit. We spent the whole summer painting and hiding rocks. 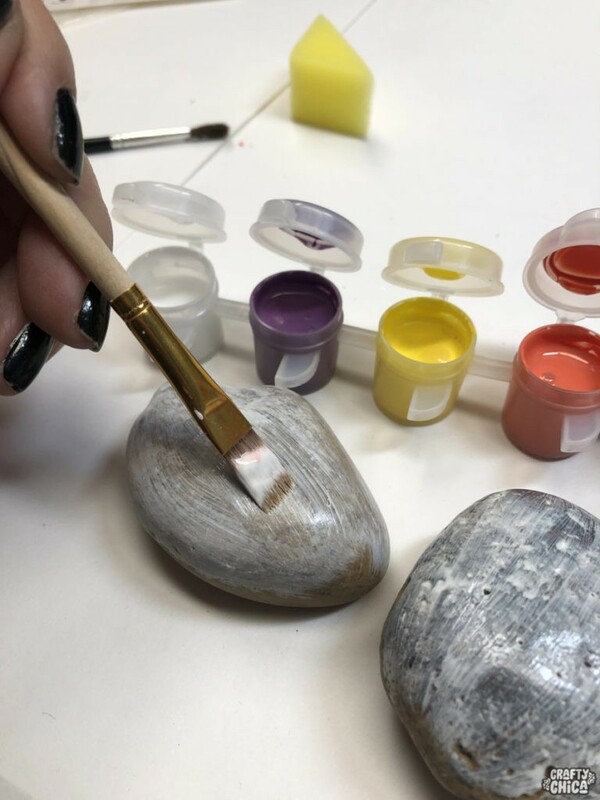 This is a cool rock painting kit! Love all of these especially the rock painting kit. I would like the gelatos because they can be used in different ways. There’s so much you could do with the gelatos. Would love to try the marbling. Love the rock painting kit. Never thought to use decals. Really neat art kits! Love the rock painting one especially. The rocks are pretty cool! I’d love to paint some! My favorite is the watercolor lettering k it. I’d love to win! I lost my crafting mojo in 2018 but am hoping to get it back this year! 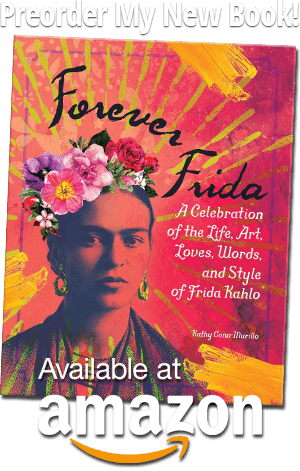 Your newsletter always brightens my day Kathy <3 Muchas gracias. 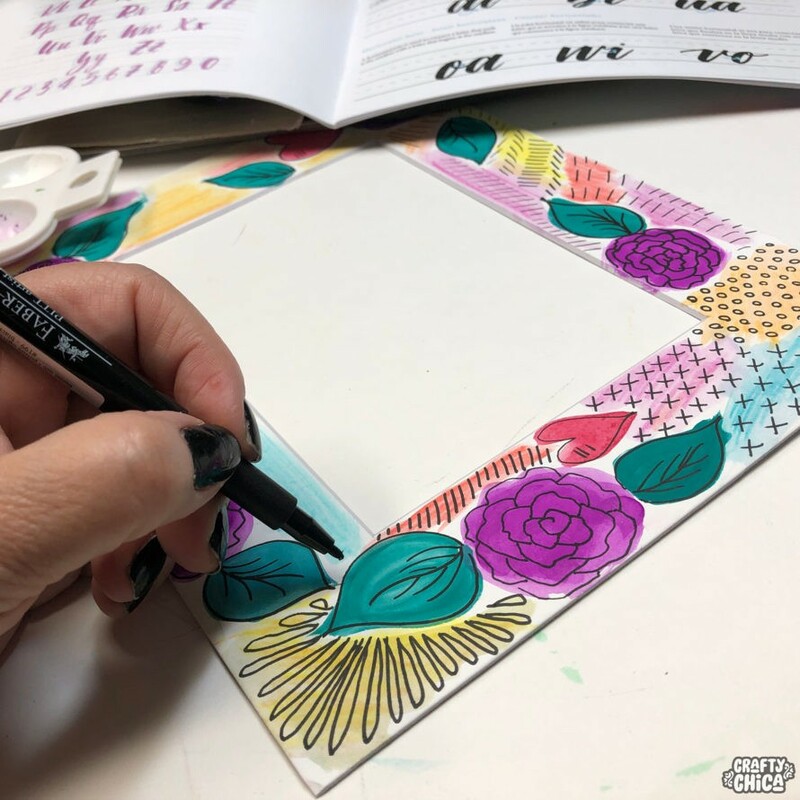 I’d love to win the Calligraphy Kit! I love practising calligraphy at home and that kit looks amazing. Want to try it out! I just read a newsletter that was sent to my email love it so much. It touched my ❤️ and I reminisced about meeting my husband. We are celebrating our 30th wedding anniversary. I stumbled on your website to get ideas and saw your beautiful art. I have crafted since I was 13 and would love the beautiful calligraphy colors to make a love letter to my husband. Thanks fir the inspirations!! !